Rodney Ackland’s extraordinarily provocative play was condemned as ‘a libel on the British people’ when first performed in 1952. Now it emerges as an intoxicating plunge into post-war Soho; full of despair and longing. Joe Hill-Gibbins returns to the NT to direct a large ensemble in this new production. The cast includes Esh Alladi, Joanna David, Charles Edwards, Patricia England, Kate Fleetwood, Jenny Galloway, Aaron Heffernan, Lloyd Hutchinson, Martins Imhangbe, Stephanie Jacob, Prasanna Puwanarajah, Anita Reynolds, John Sackville, Liza Sadovy, Jonathan Slinger, Eileen Walsh and Danny Webb. Further casting to be announced. With set design by Lizzie Clachan, costume design by Nicky Gillibrand, lighting design by Jon Clark, associate direction and movement by Jenny Ogilvie, sound design by Paul Arditti and music direction by Harvey Brough. 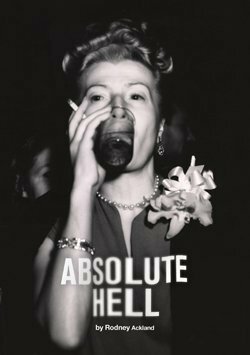 Absolute Hell was first performed at the National Theatre in the Lyttelton Theatre in 1995, directed by Anthony Page. The cast included Judi Dench as Christine Foskett, who won an Olivier Award for Best Actress for her performance the following year.